There are many talented photographers out there — but we’ve got six steps to help you choose the perfect local wedding photographer for your big day. Wedding photographers book up fast — sometimes years before the actual wedding date. So it makes sense that most wedding planning advice recommends booking a photographer as quickly as you can after you have a date and venue. But before you can book your local photographer, you have to choose the right one! And like so many decisions related to wedding planning, choosing a photographer can feel daunting and overwhelming. How can you choose the right photographer for your big day? Why a local wedding photographer? 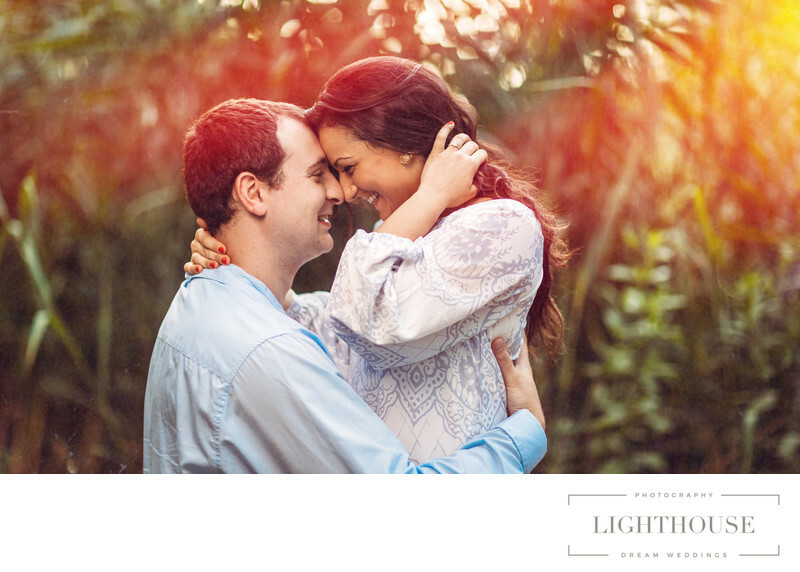 Before you choose your photographer, it helps to understand why local is such a good choice! Local photographers have the insider scoop on details from where to take photos without worrying about crowds to where the best parking spots are. They are less likely to get stuck in traffic or have trouble finding your venue, and they’re rarely caught off guard by things like photo permit requirements. Local photographers may be able to recommend additional vendors if you need help finding, say, a florist or a makeup artist. And, best of all for many couples, going local can save you money! Local photographers won’t need to charge as much of an extra fee for travel or mileage, which can help keep your wedding costs down. Once you’ve decided to stay local with your photography choices, you’re faced with another dilemma: how exactly are you supposed to choose your photographer? Even smaller towns or more rural areas often have many photographers to pick between. And if you’re looking for a photographer for Long Island wedding — or really a photographer anywhere near New York City! — your options can start to seem endless. That’s what we’ve set out six steps that can help you choose your local wedding photographer. Every wedding looks different because every couple has different priorities in planning their big day. These priorities can help guide your choice of photographer. Are you really excited to work with a particular photography team? 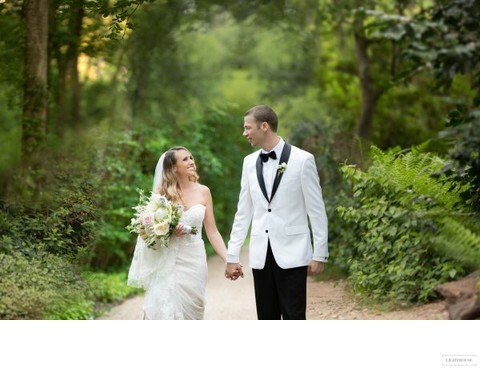 Are you hoping for a photogapher who has experience placing photos on major wedding websites? Are you concerned about keeping costs down? Do you want to make sure you hire someone who is familiar with your religious tradition? Do you not know anything about photography, so you need a photographer who can take all the photo decisions off your plate from day one? Once you have a handle on your priorities, you can narrow down your options by focusing on photographers whose style, experience, and connections match those priorities. Maybe you love a specific photographer’s portfolio — but they never work with a second shooter, which means that you won’t have a photographer in every spot during the day. Maybe you want to work with a photographer who has connections to a famous wedding blog — but that means your costs go up. Once you know your priorities, you’ll be able to decide what trade offs you are willing to make. This can help you identify local photographers who aren’t right for your big day, and focus only on the ones who are. For many couples, managing costs is a big part of wedding planning. This makes sense: weddings can get expensive! Before you choose your photographer, put together a realistic wedding budget so you know how much you can spend on photography. But leave yourself a little wiggle room if you can. You never know whose work you might fall in love with! Once you have a list of local wedding photographers whose services you can afford, who fit your priorities and whose work you love, give them a call! Set up time to talk on the phone or in person. Remember, your photographer will be with you for your entire wedding day. You want to make sure the person you choose is someone you’ll enjoy spending time with, whose style matches your personality and priorities, and who can help solve problems that arise so you leave your wedding day with beautiful photos no matter what. Talking in person can help you narrow down who is actually a good fit — and whose work you’d rather keep loving from afar. Still stumped? That’s understandable — there are a lot of talented photographers out there. It can be hard to choose! Try a little mental exercise next: imagine looking through your wedding album in ten years. Really close your eyes and picture it. How do you describe those photos? Are they romantic? Edgy? Glamorous? Are there lots of posed portraits, or more candid shots of guests getting goofy on the dance floor? How do they make you feel? Once you have that mental image, go back to online galleries of the photographers you are choosing between. You’ll have an easier time deciding whose portfolio matches what you really want for your wedding day photography. When in doubt, the best way to choose your local wedding photographer is to go with your gut. Do you have a feeling that someone is right for you — even if you didn’t originally think you wanted photos in their style? Do you know that you want to work with a particular photographer — even if it means tweaking your budget a little? 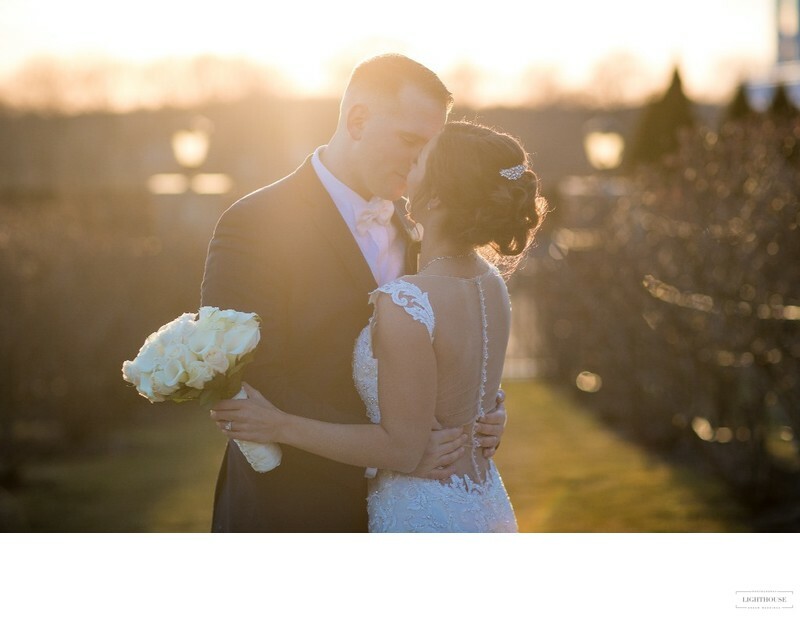 Did you have such a great connection with a photographer that you can picture them being with you for your entire wedding day? Chances are, you know who is the right local photographer for your wedding day. Give yourself permission to say yes. After all, you’ve still got a lot of other decisions to make — let’s check this one off the list!